It’s one of Australia’s best-kept secrets. Few people know that Malibu is breaking in a new 5.3-litre V8 engine that will power future generations of its Australian-made boats. To test it, the Albury-based boatmaker handed one of the V8s over to what it believes has Australia's harshest test environment: Myuna Bay Waterski Club. “When we got an engine out here we said ‘Right, what we want to do is try and break this thing, and put it through the harshest environment we’ve got’,” Malibu Boats Australia driveline engineer Chris Maney said. “Over all the years I’ve worked here we’ve had one particular spot in Australia where we’ve found the worst environment, so Myuna Bay Waterski Club, we do a lot of work with them. “Year after year we’ve had failures, and they’ll be the only customer we get year after year, another set of exhaust manifolds, stainless steel, bang, bang … so we said ‘Let’s put this thing in there’. “So we’ve been running it at around about six months now, and they love it. We didn’t tell them what size the engine was when they received it, they wanted to know and we just said ‘Don’t worry, just take it, try it’, and that’s actually our 5.3-litre, so we’ve gone from using a 5.7-litre to a General Motors-sourced 5.3," Maney said. 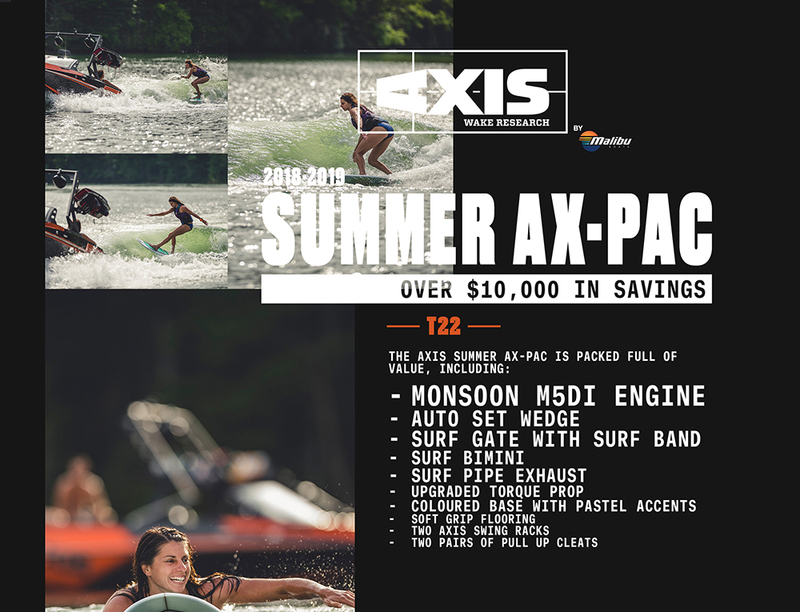 Axis Wake Research™ is proud to announce the all-new 2019 T23, the traditional-bow, performance-minded, value-driven watersports towboat. The 23.5-foot flagship of the T Series is moving into its second generation, which means a great thing just got better. With seating for 16, a huge wake and wave as well as a plush interior and quality construction in a traditional bow shape, the T23 checks all the boxes. The layout of the T23 is ideal for families, but don’t let that fool you into thinking this boat is only good for afternoon cruising. 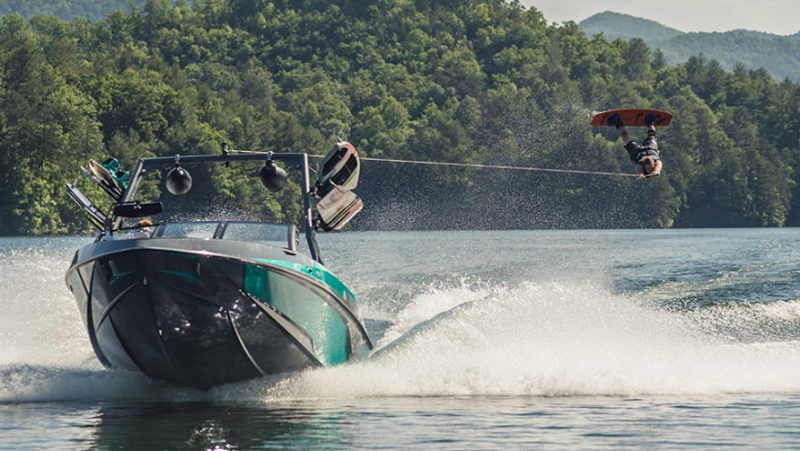 The T23 tops out at 4,600 pounds of available ballast, which makes a completely different class of wake with over 1,500 pounds more ballast than the competition. 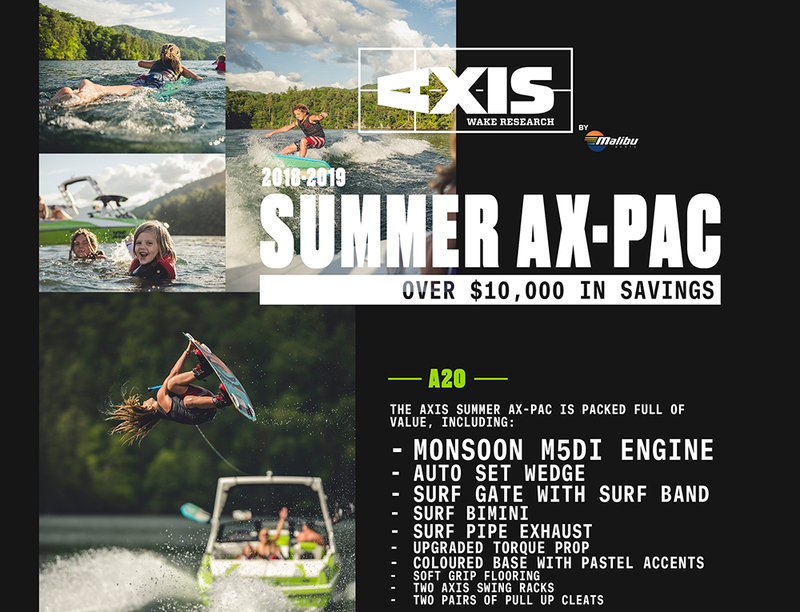 "The all-new Axis T23 fits more wake performance and style into this family favorite 23-foot size than ever before. This was already a really popular boat, but with the second-generation upgrades the 2019 T23 is going to be everywhere."